Ash Daniel Bill Hall, who worked as a locksmith at Pleasants Hardware for decades, has joined other former employees at Anthony’s Decorative Hardware. If you’re still heartsick over the close of the Pleasants Hardware flagship store, there’s another place in town where you can see familiar friendly faces and receive the same straightforward advice. Former Pleasants employee William B. “Tony” Anthony III and a cadre of his fellows opened a store that aims to have much of the same selection and neighborhood feel. Anthony’s Decorative Hardware, at 2219 Tomlynn St., opened with the goal of continuing the Pleasants tradition of offering the kind of customer service that isn’t always found at big-box stores. With more than 20 years at Pleasants, Anthony is joined by three other former employees. Two of them worked for the hardware store for more than 30 years. The new venture offers much of the same cabinetry and other accessories and provides the same locksmith services, as first reported by the Times-Dispatch. 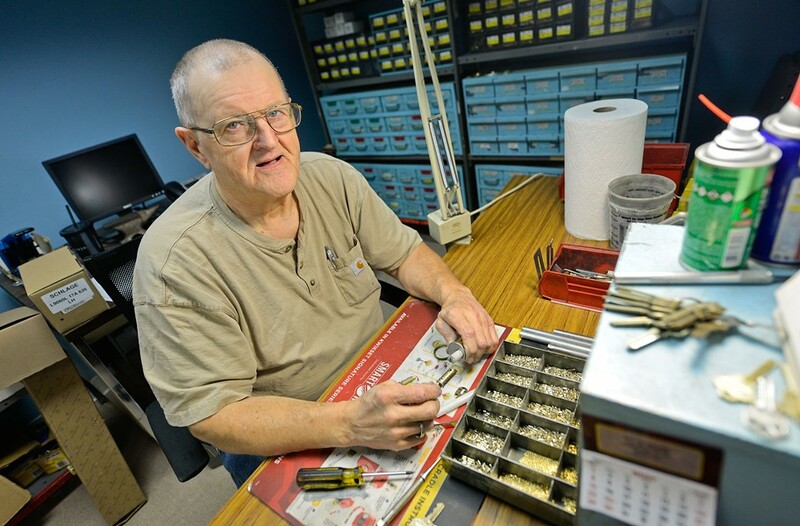 Over the years, locksmith Bill Hall estimates that he’s cut master keys and installed locks for hundreds of commercial and residential properties in Richmond. Pleasants was a reliable source for many area contractors — contacts that Anthony was able to maintain. His store also features many of the same product displays that were in Pleasants.